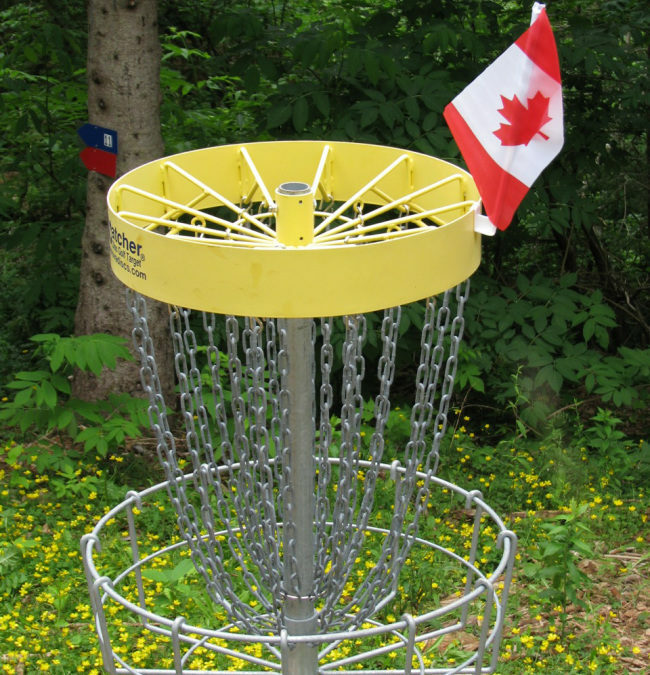 The 2nd annual Canada Day Tournament will be held on Sunday June 30, 2013. Sign-up opens at 9:30 a.m. and closes at 10:00 a.m. Players’ meeting and team assignment will be from 10:00 a.m. – 10:20 a.m., with the first tee off at 10:30 a.m. Feel free to show up anytime after 9:00 a.m. to warm up! Teams will be assigned on that day, but it would be a help if you would let us know if you’re planning to attend so we have an idea of how many are coming – just send us an e-mail at HillcrestDiscGolf@gmail.com. More details to come! Last year’s winners Mitch Jay and Tara Kelly are the defending champions, and a good time was had by all.